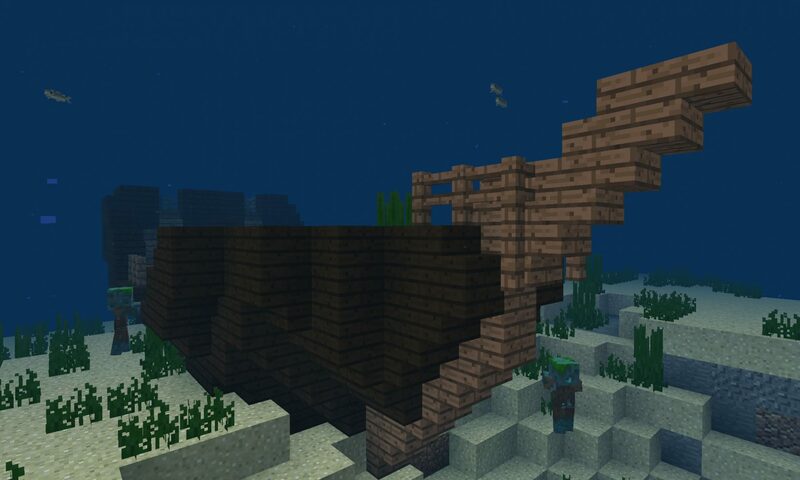 Minecraft PE Shipwreck Seeds for Minecraft PE/Minecraft Bedrock Edition. These seeds have a shipwreck at or near the game spawn point. View all Minecraft Seeds or all Minecraft PE Seeds. This Minecraft PE Shipwreck Seed spawns you on a small island surrounded by a coral reef which is consuming a shipwreck! 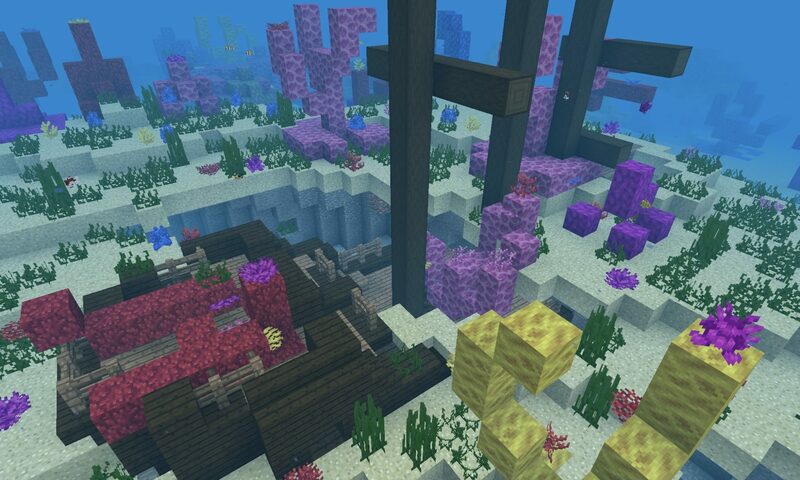 MCPE Update Aquatic seed.